T-Mobile is starting 2019 with a pretty cool deal aimed at customers in need of a new high-end Samsung Galaxy smartphone. 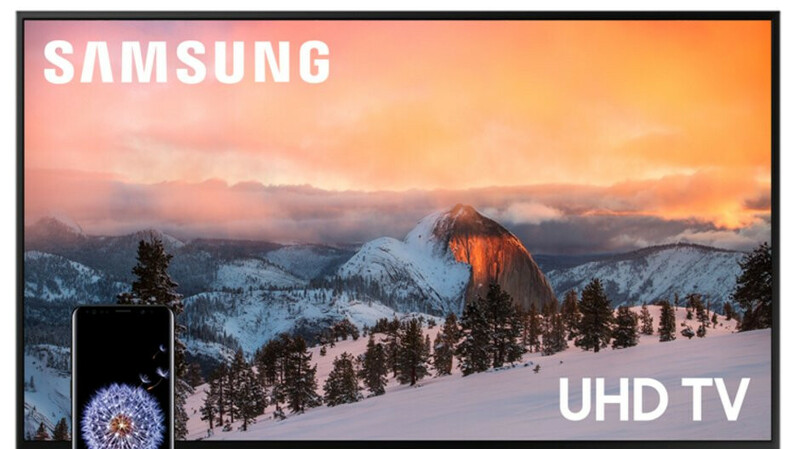 Buyers of select Galaxy handsets (on a T-Mobile finance agreement) can get a free 50-inch Samsung 4K Smart TV - seen above - if they add a new line of service. If you're not a T-Mobile customer but want to become one, you must add at least 2 lines to qualify for the deal. In total, 5 smartphones are eligible for this offer: Samsung Galaxy Note 9, Samsung Galaxy S9, Samsung Galaxy S9+, Samsung Galaxy S8 Active, and Galaxy S8. This new T-Mobile deal (which is similar to one that's been available at the end of 2018) is valid from January 4, 2019 through January 31, 2019. In order to take advantage of the offer, you'll have to complete an application - here at T-Mobile - then visit a T-Mobile store near you. All T-Mobile stores across the US are participating. So, are you in? Another slick ploy to get me off my Simple Choice plan. Nice try T-Mo. May be they will be successful with this offer. Just didn’t work out for you. Pen is mightier than the sword!